An analysis of fossilised dandruff fragments has given scientists their first evidence of how dinosaurs and early birds shed their skin, reports BBC. It shows that these dinosaurs shed their skins in small pieces, and not all at once like many modern reptiles. It’s more evidence that early birds had limited flying skills, the authors say. 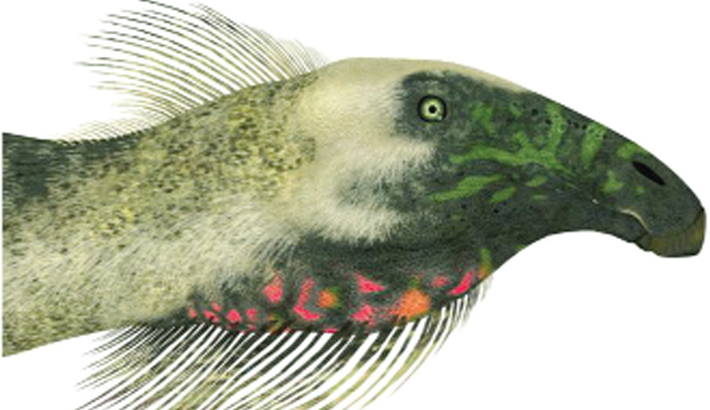 The researchers travelled to China in 2012 to study fossils of feathered dinosaurs from the Cretaceous era. This was the first time that these specimens were subject to electron microscopy and chemical analysis. The results surprised the science team. “We were originally interested in studying the feathers, and when we were looking at the feathers we kept finding these little white blobs, the stuff was everywhere, it was in between all the feathers,” lead author Dr Maria McNamara from University College Cork told BBC News.